Most readers of this blog know that I tend to be a lumper when it comes to the gray wolf species complex. I generally think we have one phenotypically and behavioral plastic species that has been able to adapt to many different ecosystems, and this plasticity is even more exaggerated in the domestic form. When it comes to the dingo, the New Guinea singing dog, the New Guinea Highland dog, or the various mid-sized primitive dogs of Southeast Asia and Indonesia, I think the best way to understand what they are is just regional forms of a dog that has existed at varying levels of domestication. Every major genetic study that includes “pure” Australian dingoes places them within a clade that includes chow chows and other East Asian breeds, and it seems me that the best way to classify dingoes is as primitive domestic dogs. Yes, I call into question the current thinking that there is a Canis lupus dingo, and I feel they would better be classified as as a feral Canis lupus familiaris. In the past week, I’ve seen a few posts situating a “dingo” species. This one is not based upon the faulty “unique morphology” paper that came out a few years ago. When I first read that study, I instantly thought of Edward Drinker Cope declaring the Japanese chin a distinct species because it tended to lack the number of teeth of normal domestic dogs. This new “dingo is a species” comes from a paper that says they are geographically isolated from other dog species and have lived in the wild for many generations. Well, they aren’t genetically isolated from domestic dogs now, and they didn’t read the paper that said they were a new species and should only mate with other dingoes. That’s why Australia is full of mixed dingoes now. I do think a case can be made that dingoes should now be regarded as native fauna. They have been in Australia for 3,500-4,000 years, and whatever ecological problems they may have caused, they pretty much already done it. We know that native Australian animals have an innate fear of dogs, probably because they have spent the past 4,000 years as prey for dingoes. And there is evidence that dingoes hold back feral cat and red fox populations to allow various small native fauna species to survive. But everyone agrees, of course, this complex issue requires quite a bit more study. So although I think this grasping at straws to make the dingo a species is pretty silly, I do think a good case can be made that dingoes are native. I think Australia’s wildlife culture needs to have its own unique predator at the top of its ecosystem. The problem is all they have now is this feral dog, which certainly does do a good job as a top predator. But it’s not a Thylacoleo carnifex or even a Thylacine. This same general type of feral dog can be found throughout Indonesia and Southeast Asia, which means it is not exactly an Australian endemic. Australians also don’t have any other canids other than red foxes with which to deal on a a regular basis. In the US, we see coyotes that are clearly admixed with domestic dogs, and in Eurasia, dogs and gray wolves exchange genes at a much higher rate than we once thought. When all you have are dingoes, it’s hard to think of the big picture of Canis taxonomy. The genetic difference between a regular domestic dog and a dingo is smaller than the genetic difference between a regular domestic dog and a coyote. And that difference is apparently much smaller than we initially thought, too. So if you read that dingoes are a species, no new evidence has been revealed to call for their species status. It’s just simply a rearranging of species definition that honestly don’t hold up to much scrutiny from a cladistic approach. Saying that dingoes are a species is sure to get headlines. But it’s on the level of the “Birds are not dinosaurs” school of cranks, which I find has direct parallels in the “Dogs are not wolves school” of similar cranks. I’ve discovered in all my years of trying to educate people about evolution that people have a very hard time thinking cladistically. Engaging in this sort of nonsense makes the reasoning behind cladistic classification as both an explanation for evolution and something that would be expected in light of evolution that much more difficult. So stick to clades. And stop playing games by trying to turn an interesting local dog into a species. 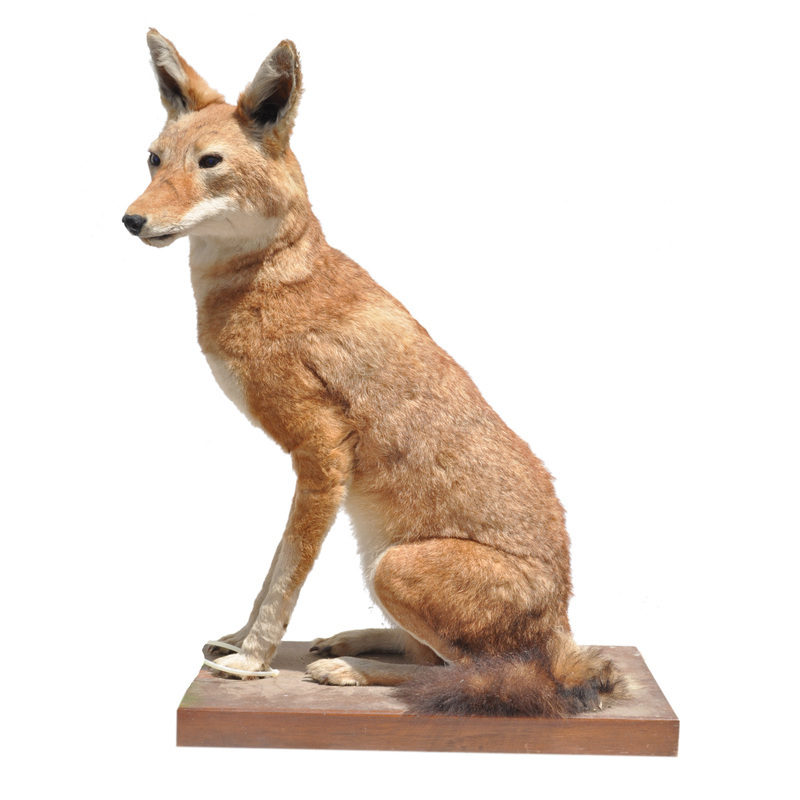 We rarely come across dingo taxidermy mounts and are proud to carry great specimens at a great price. The dingo is a free-roaming dog mainly found on the continent of Australia. The dingo has several names in both scientific and non-scientific literature, like of which the word “dingo” is the most common term, but also include “dingoe” and “wild dog”. Who do you know that has a Dingo? Want one? Sign up for our Wish List! The big problem is that this specimen is not a dingo! In fact, it’s something even rarer than a dingo, which is a feral domestic dog. It is an Ethiopian wolf (Canis simensis), which is a critically endangered canid that is found in the Ethiopian Highlands. Because it’s such an endangered species, the legality of selling such a specimen is certainly suspect, and it’s certainly worth a lot more than an old dingo mount. 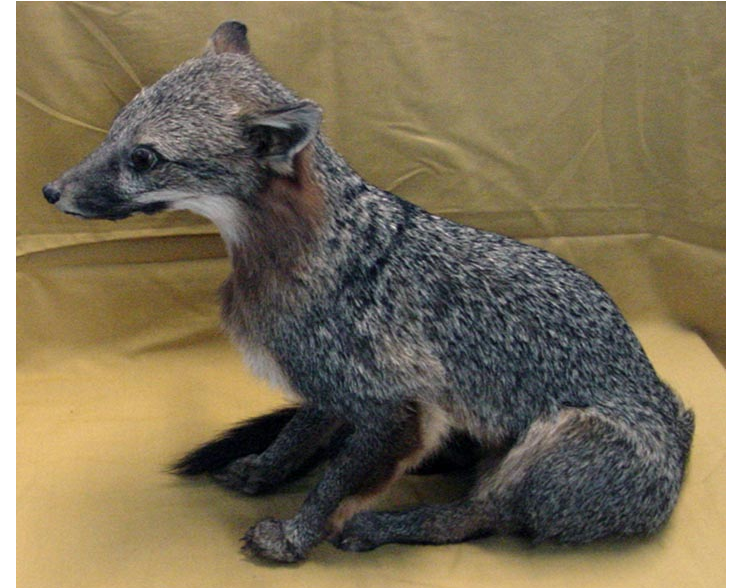 But this isn’t the first taxidermy taxonomy fail I’ve covered on this blog. 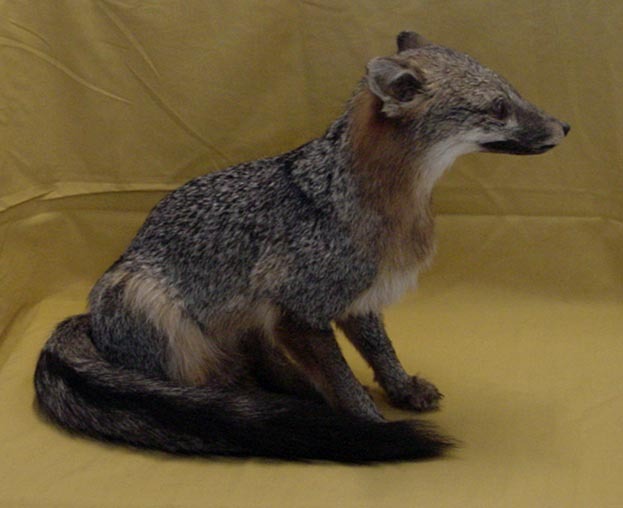 A few years ago, I went after an ad that was selling a gray fox taxidermy as a kit fox. One would think that people who deal with these sorts of specimens would have an idea about the exact identity of the creatures that it is selling. I’m about to quote from book that contains a description of a Japanese chin, which is called a “Japanese pug,” that some might find offensive. Please note that I am not anti-Japanese chin. This is a brachycephalic breed, and unlike many other breeds of this type, the Japanese chin has had this morphology for a long time. They arrived in the West with these particular features, and among toy breeds, they haven’t changed as much as some others. That said, this breed was not exactly well-received among male naturalists of the nineteenth century. And the text I’m about to quote comes from a naturalist of that time period and demographic. First of all, it how extreme brachycephalic dogs actually are. And secondly, it shows the pitfalls of using morphology alone to determine taxonomic status. The text I quote mentions an analysis by a scientist named Cope. I am assuming that this “Cope” is Edward Drinker Cope, a nineteenth century American comparative anatomist. Cope apparently thought that the “Japanese pug” was so morphologically dstinct that we would have to call it a distinct species. In fact, Cope thought that this animal deserved its own genus! Cope’s classification of this animal is mentioned in The Standard Natural History, Volume 5 (1884) by Friedrich von Hellwald, an Austrian geographer and historian. Some breeds of dogs are by many regarded as abnormalities or monstrosities, as the bulldog, pug dog, and Japanese pug, which have the bones of the muzzle defective; the turnspit, again, is remarkable for its short legs. In the Japanese pug the characters of degradation are so extensive and so numerous that, were the breed wild, it would unhesitatingly be placed in a distinct genus, and Cope has described it as such under the name of Dysodes pravus. The teeth of this pug differ from those of ordinary dogs in the constant absence of the first inferior premolar and of the last inferior true molar, the false grinders ranging in various individuals from four above and three below on each side to two above and two below, while the molars are either one above and two below, or two above and one below. The incisors, which at birth are normal, are shed at the age of six months, the last tubercular molar of the upper jaw disappears with age, and the first superior premolar is rarely present, and doubtless shed before maturity…. The hair of this variety is long and not curled, the color usually black and white, and the size that of a rather small black and tan terrier. Many examples of this singular dog have been brought to this country, and it has recently become fashionable in England to possess one of these pets, which even in Japan are said to be uncommon and expensive. Cope says of it: “It does not appear to possess the senses of sight and smell in the same degree as the species of Canis. It cannot follow its master through a crowded street, and is readily lost, even on open ground where opportunities for sight are good. As house-dogs they are cleanly, and intelligent in certain directions.” They do not learn tricks easily, but seem to understand their master’s disposition and wishes; are vivacious, and are not disinclined to bite those they do not like. The very large eyes, excessively short muzzle, and inflated forehead give this dog a look of intelligence which its habits do not bear out — it has, in fact, been degraded by an artificial life and fed upon vegetable food until it has almost ceased to be a carnivore (pg. 428-429). Some of these “degradations” may have been the result of the predominantly rice-based diet that these dogs were fed. They may not have been fed good quality protein, which would affect mental development and the sensory abilities. However, I don’t think that’s really what’s most interesting. Using morphology alone, at least one well-educated comparative anatomist thought that that Japanese pugs, which we call Japanese chin, were more than their own species. They belonged to their own genus! In the von Hellwald text, other dog breeds are listed as distinct species, but all are listed as being members of Canis. Today, we’d find such classification bizarre, for now it is clear enough to see that all dogs belong to same species. And they all descend from the wolf. For a variety of reasons, domestic dogs have been able to produce a variety of bizarre phenotypes. Indeed, the skulls of domestic dogs vary more than one will find across the whole rest of the order Carnivora! At one time, it was assumed that dogs were derived from multiple ancestral species. It was assumed that such diversity in phenotype could only be created by crossing different species. Today we know that domestic dogs have the wolf as their primary– and perhaps sole– ancestor. With the exception of dogs that are known hybrids, no one has yet found golden jackal or coyote genes in domestic dogs. So in the nineteenth century, it was possible that a dog with such extremely different morphological features could be classified in such a way. 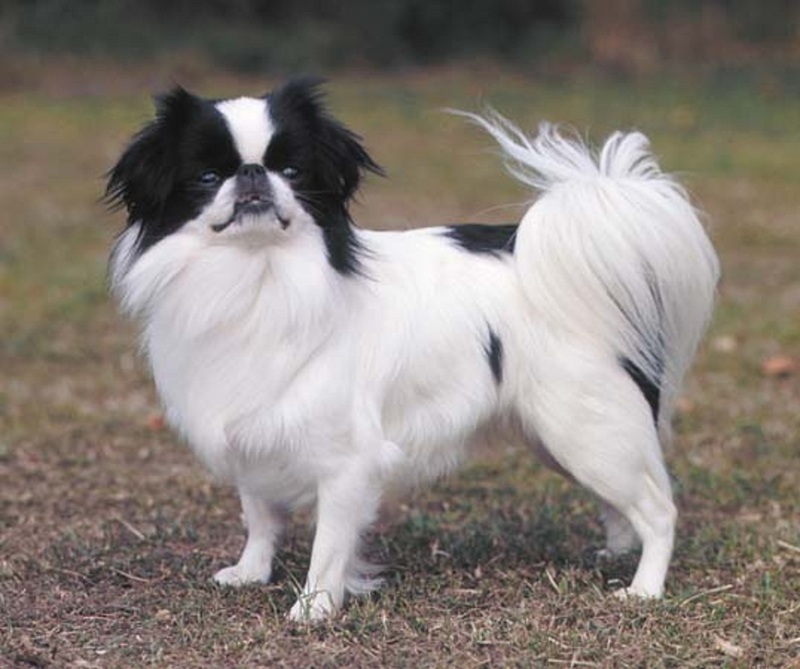 We now know that Japanese chin are fully domestic dogs in their ancestry and lineage. They readily bred with toy spaniels and pugs in Europe, and they also were crossed with pekingese dogs. There is nothing about them that would require one to list them as a different species. And to place them in their own genus– well– that’s quite absurd. But at the time, it was acceptable to think of them this way. So if morphological methodologies could lead people into such errors, we should be careful about relying upon morphology to determine taxonomy and phylogeny. If all we have are bones or fossils, then we have to make educated guesses. But if we have the DNA, it’s better to use molecular analyses in order to avoid such bizarre classifications. Yes. Japanese chin are dogs. Not a nice name for any dog. Especially for one that was supposed to be this unique! Now, I had a bit of trouble finding the actual text in which Cope made this analyais, but when I found it, it turned out that Cope came to his conclusion through the examination of eleven living specimens. His analysis appears in The American Naturalist, Volume 15. Cope describes the unusual dentition of the final 8 specimens– one of which was half poodle! No. 1. Premolars 2/2, molars 1/2; first premolar a minute cusp; two years old; Japanese. No. 2. Premolars 3/3 ; first and second superior minute. No. 3. Premolars 4/3; first and second superior minute cusps; first inferior do. ; nine months old; American born. Nos. 4 and 5. Exactly like number 3. No. 6. Premolars 2/2; an old dog from Japan. No. 7. Premolars 2/3; young; daughter of No. 6. No. 8. One-half poodle; premolars 2/2; molars 1/2; four and a half years old. From the above it can be seen that the absence of the first inferior premolar is constant, as is also, I may add, the absence of the last inferior true molar. In only three specimens was the first superior premolar present, and then as a cusp-like rudiment; and these are young dogs American born. The tooth is doubtless shed before maturity. Finally, even the poodle mixture did not restore the two lost inferior molars; and two superior molars are also missing, as in the typical Dysodus pravus. In all, the superior incisor teeth were present. Thus, though this species shows a remarkable tendency to shed the molar teeth with age, its normal dentition, when perfectly preserved, differs materially from that of the genus Canis. This species has some marked peculiarities of habits. It does not appear to possess the senses of sight or smell in the same degree as the species of Canis. It cannot follow its master through a crowded street, and is readily lost, even on open ground where opportunities for sight are good. As house dogs they are cleanly, and intelligent in certain directions. They do not learn tricks easily, but seem to understand the disposition and wishes of their master very readily They are often very vivacious and energetic, and not at all indisposed to use their canine and flesh teeth on persons whom they do not especially regard (pg. 233-234). Cope was trying to see if environmental factors had produced the unusual dention, which is why he examined the American-born dogs and the half-poodle. He didn’t seem to understand the lack of these teeth were actually the result of extreme brachycephaly. These dogs have these teeth, but they are not visible in the mouth. They remain withdrawn into the gum, much like the wisdom teeth of humans. So Hellwald’s view that the teeth were the result of evolving for a vegetarian diet isn’t even substantiated in Cope’s text. Cope just thought that the teeth were gone, and because the teeth weren’t there, we had to be looking a different species– with its own genus. Never mind that this “species” could have produced intergeneric hybrids with domestic dogs! Does ecological niche alone determine species status? Many people don’t like that I consider dogs to be the same species as wolves. And usually what they’ll do is accuse me of holding views I don’t have. For example, I don’t say that the average person should keep a pet wolf. The chances of that going wrong are just too high, but it doesn’t mean that it will never work out. I have to point to several cases of people keeping wolves and having no problems with them, most notably Wags, the tame wolf that Adolph Murie kept while studying the wolves of Denali. Wags was taken from the den of a wild pack, and she wound up becoming something like a golden retriever in wolf form. Wolves have also been trained as hunting dogs and working dogs, and at least one turned out to be a decent bird dog and retriever. However, the chances of a human-wolf relationship going wrong are very high, so I do not recommend that people keep pet wolves without learning as a much as they can– and of course, getting the proper licenses. The other attack I get is that I think dogs are wolves, and therefore, I must believe that we should use compulsory, alpha-based training regimes. That’s a position I not only don’t have, it is a position I have denounced as utterly unscientific and untenable in the modern era. (See Mark Derr’s piece in the New York Times for a good explanation of why). Now those first two are pretty easily dealt with, but a third one requires a bit more of an explanation. This third argument requires a bit sophistication to fully understand, but it’s one that I think can be explained if we look at other cases in nature for comparison. This argument is one that is made by Raymond Coppinger in his book on dog domestication and behavior. There is a chapter in the book in which he denounces any attempt to represent dog phylogeny in their scientific name, which is Canis lupus familiaris. Coppinger totally defends the old scientific name Canis familiaris because dogs and wolves occupy different ecological nichees. It’s definitely true that lap dogs have a very different ecological niche than large moose- and bison-hunting wolves in Canada. However, what about Middle Eastern pariah dogs and Arabian wolves? Both animals scavenge for most of their food. Neither forms large packs based upon a mated pair, but they essentially have the same ecological niche. And they do exchange genes quite a bit, although because the wolves are far less common, this gene exchange is much more limited than it might have been. The same goes for the wolves and stray dogs of Italy. These dogs and wolves don’t hunt prey, because there aren’t many prey species about. Instead, they hang out at garbage dumps and live on that. The wolves of Italy are much more interbred with dogs than people realize. Dog genes for black coats and dewclaws on the hindlegs are working their way into the wolf population. If we actually take Coppinger’s argument out to its logical end, then wolves themselves represent several species, even though genetically they comprise just a single species. Wolves in the high arctic hunt muskoxen, while wolves in the Middle East hunt gazelles and hares and mainly scavenge. The newly discovered African wolf subspecies (Canis lupus lupaster) isn’t even the top predator in its ecosystem, and it subsists largely by scavenging kills and hunting small prey. Yet they are all classified as wolves (Canis lupus). If wolves can occupy such a wide variety of ecological niches and still be considered the same species, why on earth would we not broaden it out and allow dogs to be classified as wolves? Just as Arabian wolves are adapted to living in the deserts and arctic wolves have adapted to living in polar regions, domestic dogs are wolves that have adapted to live with humans. I don’t know why this is so hard to accept, but there is a lot of resistance in some quarters to considering dogs a subspecies of wolf. Now, in other species, there are different subspecies that have different ecological niches, but no one contends that they should be separated into distinct species on the basis of their differing niches. Let me give you one that is pretty close to home. 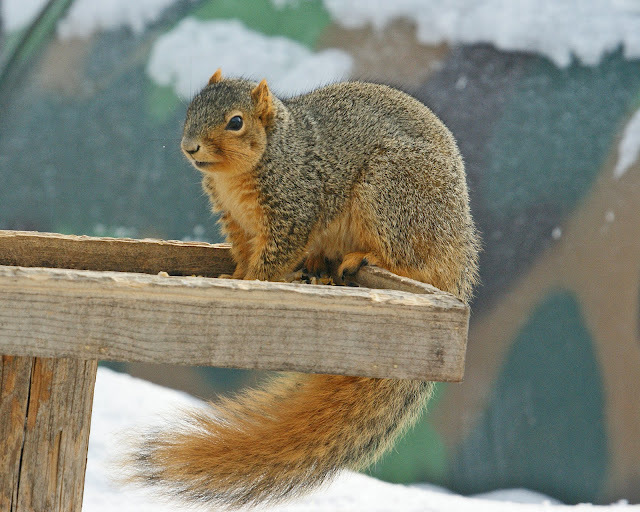 To me, this is a fox squirrel (Sciurus niger). Eastern or northern fox squirrel (Sciurus niger vulpinus). It’s a big squirrel with thick tawny gold tail and belly. They live on the border of pastures and hardwood forests, and they are more common along river valleys in West Virginia than ridgetops. Densely forested ridges tend to have mostly Eastern gray squirrels, which are smaller and usually have gray tails with white banding. In my area, these are the two most common squirrels, although one sometimes see American red squirrels (“fairydiddles.”) The fox squirrel is the largest tree squirrel in North America, and it is from this subspecies that they get their common name. Their tales actually look like those of a red fox, and their full scientific name reflects this similarity– Sciurus niger vulpinus. This subspecies is found from the interior Mid-Atlantic states and the Appalachians north and west to the prairie provinces. Southern fox squirrel (Sciurus niger niger). This is the Southern fox squirrel, and it is the subspecies one will find in Eastern North Carolina and most of South Carolina. They superficially look nothing like the fox squirrels I know so well, but they are considered the same species. However, the two subspecies are quite different from each other. The vulpinus subspecies is quite adaptable. They have been introduced to California, where they have thrived, and if you can live from Applachia to Saskatchewan, you can do pretty well no matter what the conditions are. The niger subspecies is in decline. They are almost entirely dependent upon the long-leaf pine forests that once covered much of the Southeast. For those of you who have not been in this part of the South, most of the land is dominated by subtropical pine forests. Historically, the long-leaf pine has been the dominant pine, but these old growth long-leaf pine forests have been cut– and the land was replanted with more commercially lucrative short-leafed and loblolly pines. The fox squirrels prefer the more open understories that the long-leaf pines provide, and the short-leaf and loblolly forests are much better suited for Eastern gray squirrels. In states that have both vulpinus and niger fox squirels, the vulpinus subspecies prefers to live in any available oak-hickory forests, while the niger subspecies prefers to live where there are stands of subtropical pine– especially if it’s long-leaf. In some parts of the Piedmont, these two different kinds of forest can be relatively close to each other, but as far as I know, no transitional zones between vulpinus and niger fox squirrels have been documented. They probably do exchange genes where their ranges overlap, but because niger fox squirrels are so habitat specific, there likely isn’t much of one. No one consideres vulpinus fox squirrels a separate species from niger fox squirrels, even though they have very different ecological niches. The niger subspecies is also quite a bit larger than the vulpinus subspecies, which is in conflict with Bergmann’s rule. In other normal situations, taxonomists would at least try to consider them to be different species. In fact, they have a better claim to having a separate species status than dogs and wolves, but I don’t think anyone would seriously consider these fox squirrels to be different species. After all, there are several different subspecies of fox squirrel besides these two. 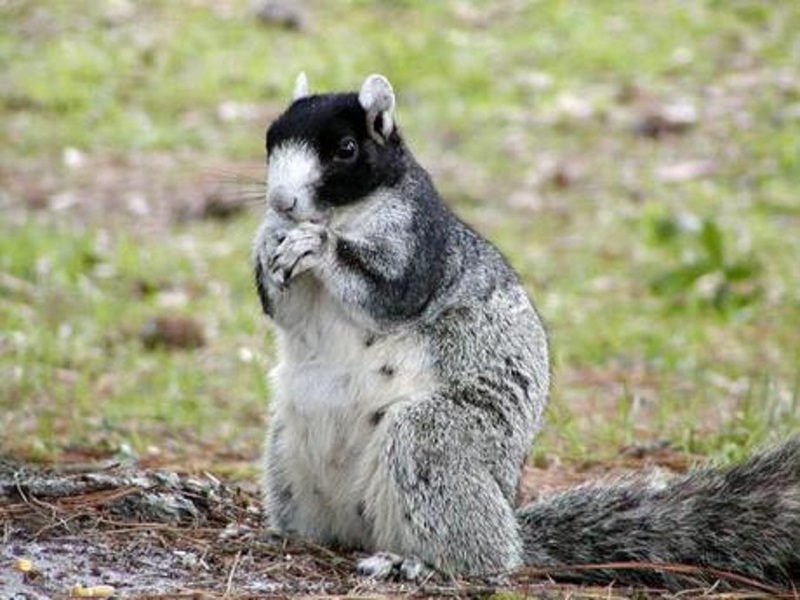 The most famous is the critically endangered Delmarva fox squirrel (Sciurus niger cinereus), which looks like a giant Eastern gray squirrel, which even more habitat specific than the Southern fox squirrel. They also are specialized to living in the Mid-Atlantic pine forests from Southern New Jersey to the Virginia’s Eastern Shore. It currently is found only in Eastern Shore portions of Virginia and Maryland. Vulpinus fox squirrels are much more habitat generalists than either the Southern or Delmarva fox squirrels. They have a different ecological niche, and if one really wants to play around with Coppinger’s adamant defense of Canis familiaris, then we have to split up the fox squirrel species. Ecological niche can be used to determine species status, but to rely upon it alone, as Coppinger does in his defense of the usage of Canis familiaris, is to inadvertently open up whole taxons to splits that are pretty hard to justify on face value. So if one isn’t willing to say that there are multiple species of fox squirrel, we are going to have go with Canis lupus familiaris. Sorry, folks. Dogs are wolves. The arguments on the contrary make no sense in the light of what we know about other species. Update: It turns out that all these subspecies of fox squirrel have only diverged in the past 14,000 years. I came across this page featuring taxidermy mounts that were being offered in Craig’s List. It features an American mink and a western coyote, which are all fairly interesting animals. However, when I scrolled to the bottom of the page, I noticed a problem. 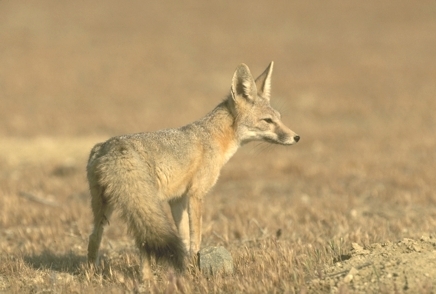 This item is listed as a “kit fox” (Vulpes macrotis). However, it very obviously is not a kit fox or a swift fox (Vulpes velox) either. Two reasons clearly suggest that it is not even a vulpine fox at all. First of all, it is nearly uniformly gray in color, with tan or reddish hair in only a few places on the body. Both kit and swift foxes have significant amounts of tan on their bodies. The legs of this animal are almost totally gray. In another photo, it appears to have a ridge of black hair running down the length of its tail. The only wild dogs that have this trait are the two Urocyon gray foxes. 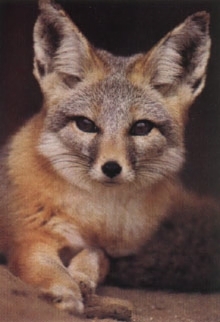 The mainland gray fox shares some kit fox range in the Southwestern US, so one can easily see how the two could be confused with each other. Urocyon foxes are not true foxes, but the represent a unique lineage of New World canids that has retained some primitive traits– most notably, they have the ability to climb trees. Oh. Before I forget, the stripe of hair that runs down the gray fox’s tail can actually be raised like a hackle whenever the fox is aroused.